Carrying paper checklists around in your carry on? Ash Hepburn, a risk analyst with Cricket Australia, is responsible for the risk management at each cricket match under CA’s control. He needs to be across all manner of risks – everything from player safety to temporary structures and fan zones. He used to conduct multiple safety inspections each day using paper. Ash and Cricket Australia’s event delivery team had to carry around stacks of checklists in their suitcases as they travelled all across Australia hosting matches. They had to remember to print all these paper checklists either at hotels or hunt down a printer at the stadium. Even once the team printed paper, it could’ve been the wrong checklist version. Sometimes people don’t see new versions in time to print them, or were accidentally left out of an email chain. Ash says this created a bit of a mental barrier to using checks at all. Ash began working alongside an event safety consultancy who were engaged by Cricket Australia, they introduced him to iAuditor. the event safety consultancy developed safety protocols and checklists to assist with the management of fireworks and shared their own safety practices with digital checklists. Mobile checklists mean no one needs to print audits on paper. Managing audit templates in the cloud and pushing any updates directly to mobile devices means that no one uses outdated audits. It also means that each saved audit is searchable and organised on the iAuditor desktop platform. Each time a team completes an audit, they can send an email report to Ash. Carissa Harris (Events Director – International Cricket), keeps each match running smoothly. Everything from sponsorship signage to medical plans fall under her domain. She used to laminate checklists that she distributed to each team or individual on a particular day. Carissa even has her own checklist which is a sort of master checklist of the checks of all the other teams. Once she saw how Ash had implemented iAuditor for risk management, she began exploring how to apply it to her own event management checks. 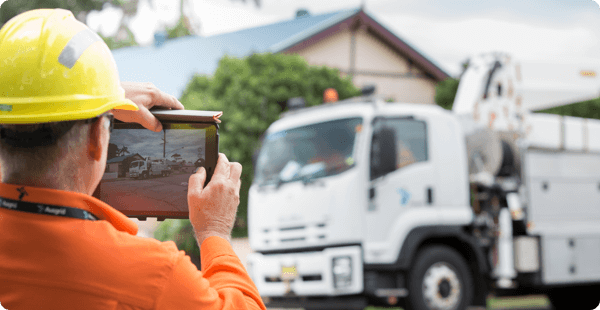 Ash says that digital auditing has not only made safety checks easier, but it’s brought safety and quality standards to the forefront of each employee’s mind. “We’ve had massively positive feedback from the organisation. Risk management and safety is still a newer concept for sports. Mining, construction, food production, they’re used to the idea of workplace health and safety. But because the sporting world is still new to it, we worked hard to create formal checks and get everyone on board. Having iAuditor has made it easier to sell the message.” Carissa and Ash both appreciate that they can pull up historical data on audits with a quick search, and they can easily demonstrate their compliance with International Cricket standards. Each cricket match is pulled off thanks to a complex system off the pitch; one that involves Cricket Australia as the governing body, but also representatives from each stadium, and the teams that they represent. Donald Kempf, owner of Sunshine Crane Repairs, cuts down on reporting time in order to spend more time with his family. Coles tracks food safety and quality across 760 stores with iAuditor. Auditing time on site is reduced by 30% for Ausgrid.